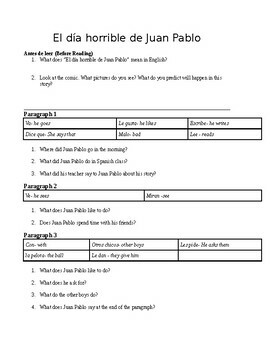 This is a question set to go along with "El día horrible de Juan Pablo" from Realidades 1. It includes a glossary of words and phrases to help students as they read. 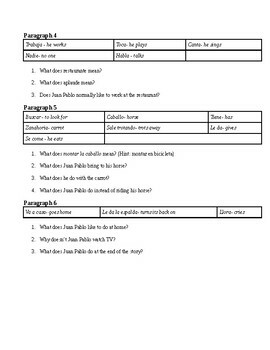 I created this for my 6th and 7th graders who are in Spanish 1A.